Enjoy a private walking tour of the Lower East Side as you nosh on food offerings from Jewish and other food purveyors. If you have questions or would like to book a tour, please contact Doug Fox: Email Doug or call: 917-226-6914. 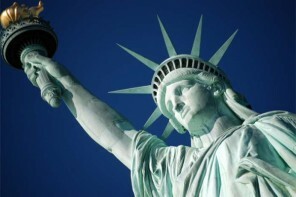 Waves of Jewish immigrants started to arrive in New York City in the early 1880s. Many of these immigrants settled in the Lower East Side creating one of the most densely populated neighborhoods in the world. Though initially impoverished, the newly arrived Eastern European immigrants created a vibrant culture, built synagogues, quickly improved their economic condition, and expanded opportunities for their children and grandchildren. 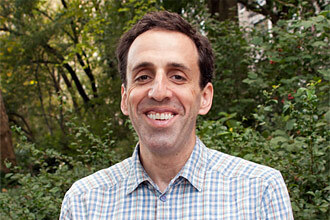 New York City tour guide Doug Fox conducts these Lower East Side tours. 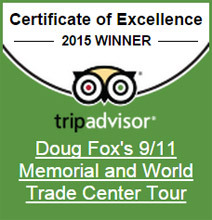 Doug is a recipient of TripAdvisor’s Certificate of Excellence in 2014 and 2015. 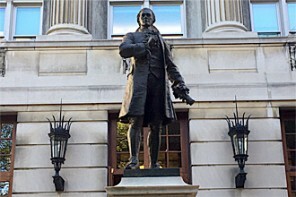 He’s a native New Yorker and his grandparents grew-up on the Lower East Side. During this Lower East Side tour, Doug shares stories about the transformation of the Lower East Side, the history of Jews in New York City, life in the tenements, the construction of impressive synagogues, the pushcarts that dominated Orchard, Hester and other streets, labor unrest and garment worker unions, Yiddish newspapers, Yiddish theater, and many other topics. We will nosh on food offerings from a number of famous restaurants, delicatessens, appetizing stores, kinisheries, candy stores and more during the tour. Life in the crowded walk-up tenements at the turn of the century. The stars of Yiddish theater and early movies who grew-up on the Lower East Side. The musical careers of Irving Berlin and George Gershwin. The rise of garment workers unions and their battles for better working conditions. Emma Lazarus, author of the New Colossus (“Give me your tired, your poor, your huddled masses…”) and the Hebrew Immigrant Aid Society efforts to assist newly arrived Jewish immigrants from Eastern Europe. Lillian Wald and the important role played by Settlement Houses. The tragic Triangle Shirtwaist Factory fire and its impact on the Lower East Side. The history of peddlers and their pushcarts. Abraham Cahan and The Jewish Daily Forward. Pickles, knishes, pastrami, lox and bialys: The Jewish food of the Lower East Side. Recent impressive restorations of historic synagogues. Jewish Gangsters – their rise and disappearance. Plans for the high-tech Lowline, a new park to be built underground in the old Delancey Street trolley station. The long-stalled Essex Crossing is a sprawling, now-under-construction residential and commercial development that will transform the Lower East Side when it is completed. Top international architects are making their mark on the transformed skyline of the Lower East Side. The story behind the gentrification of the Lower East Side. 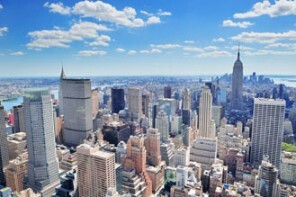 Lower East Side Tours are usually 2 to 3-hours long. The tours can be customized to meet the needs of your group. A 2-hour tour is $200 for up to 8 people. If you have more than 8 people, the price for each person above 8 people is usually $10 per person per hour. Please contact Doug Fox for a specific quote based upon the number of people in your group. The prices for food per person vary considerably based on the restaurants and food stores visited, and the items purchased. Ballpark prices can be determined prior to your tour.